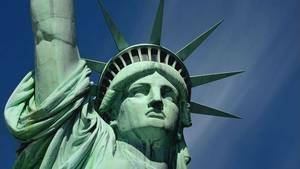 The adventure of the statue of liberty starts in France April 21, 1865, more exactly Glatigny, a commune in the Moselle department twelve kilometers north-east of Metz. This village was home at that time a country house, large mansion belonging to Edouard de Laboulaye. This illustrious politician of her time was a professor at the College de France, and he enjoyed a certain weight in the center of the French political spectrum. He attracted to him both Republicans, socialists, conservatives and even royalists, ie if the scope of its powers was great to rally under her control such characters. We must say, as described below, that Napoleon III helped greatly. Laboulaye was American history buff, her principal book as an author, was a history of the United States in three volumes. On this day in the spring of 1865 he had invited some friends for a meal to celebrate the abolition of slavery in the United States. The story made them celebrate, alas, the memory of US President Lincoln who had just been assassinated, six days before. This drama was highly resented by the French Republicans. Indeed, Republicans are by definition against slavery, or the US is Lincoln who abolished. They also see him as the savior of the union of the United States, since managed to unite North and South, yet torn by a civil war 5 years. Moreover one of Lincoln's opponents was their political enemy, Napoleon III, who supported states South anti-abolitionist for dark reasons of invasion of Mexico. The guests were also Republicans and all had the same penchant pro-American than their host. Among them, Hippolyte de Tocqueville, Oscar de Lafayette, Charles de Remusat (related by marriage to Lafayette) and Auguste Bartholdi, a young sculptor. All had ties with the United States, Lafayette directly descendants of the historical character that we know well in France. During this Edouard Laboulaye meal gave a speech to a rare verve that subdued the audience, speech in which he proposed the idea of ​​building a giant statue to offer Americans to seal the friendship between the two countries. This proposal was probably not trivial because it must have known that the young Bartholdi had in her files a ready similar project that was denied by the Khedive of Egypt, which he proposed to make a colossal statue named "The East Enlightening the World "and strangely like the current statue of Liberty. So armed with this idea that Laboulaye made her proposal that enthused the audience. This statue had another advantage, seen from France and at this time: It could show the French genius in the face of the world. But it is above all a political work that was to be set up. The scope of this choice was far greater than what one could foresee at the time. Indeed, France is losing its authoritarian monarchy that agglutinated against him the vital forces of the nation, it is also the reason of political rapprochement guests from Laboulaye: Different politically but united to thwart the government Napoleon III. Poor second republic is low and the Prussian War precipitate her fall a few years later. Isolated politically, the country is seeking a future and naturally turns to a new nation, young, whose population enjoys great Freedom of speech compared to what is practiced at that time in France. 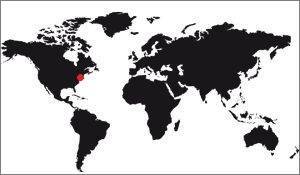 Face it the United States emerging from civil war five years, known as the Civil War name (1861-1865). The country is reunified, and all ideas are welcome. The project of this statue is then a chance for the two countries, which will be exceeded for achieving create. In each country the financial needs are important, and only a union of forces allowed to provide this funding, both France and the United States. Laboulaye's idea is to build a symbol of Liberty to highlight the lack of freedom in France. For that, Laboulaye chooses to build a statue in the United States, a country he knows well and which represents for him the land of Liberty. When this idea is issued, in 1865, it is not yet any question of a monument to the French-American friendship. 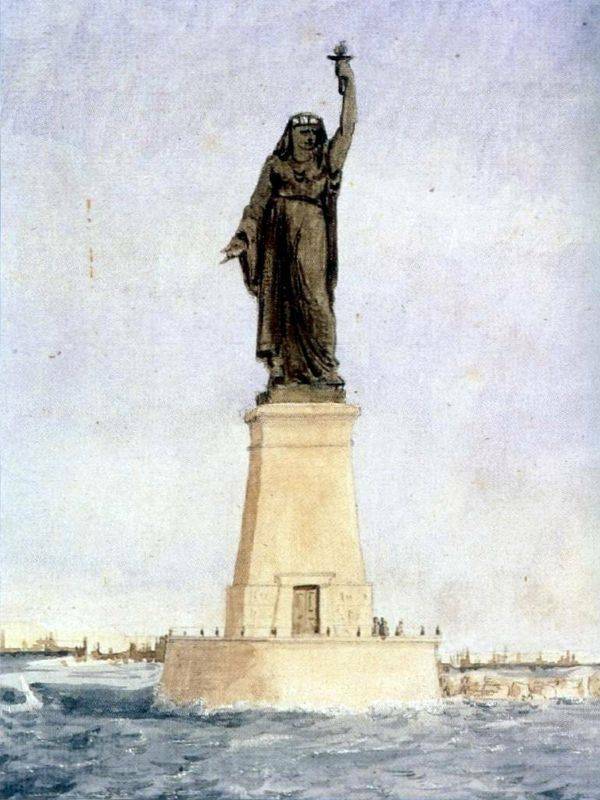 This concept will arrive later, in 1871, when Bartholdi will visit the United States to choose the site of the future statue and take the opportunity to build relationships with US that would support his initiative. In fact, the US did not see the interest of such a statue in their territory, they did not ask and do not want to pay for it. To get past this deadlock, Bartholdi statue transformed her gift from France to the United States, and it is from that date that US Slowly adhered to the project and ended up making the work necessary for its erection. Operation "Strengthen the arm of Liberty"